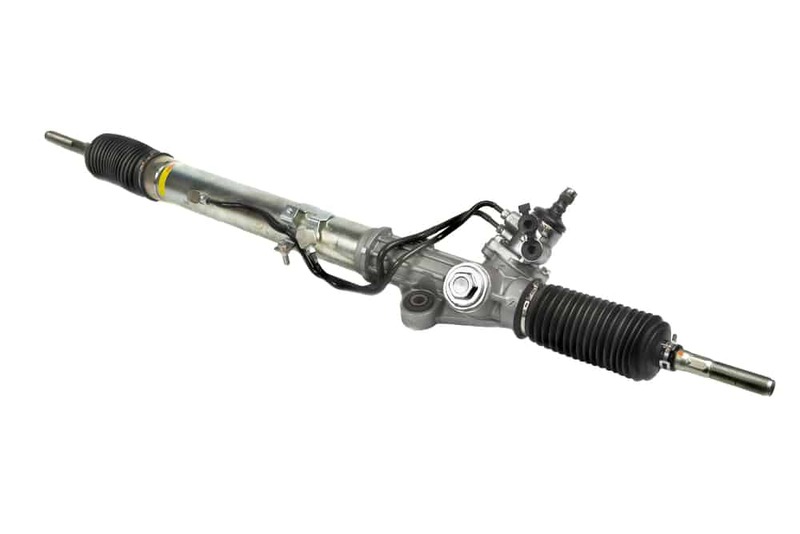 As with all moving parts in your car, the Steering Rack is likely to wear down over time and experience fatigue. This will take a few years, but the tell-tale signs are in the responsiveness of the car’s steering. If turning the wheel seems to take more effort than it used to, or if the whole system seems strangely sluggish, then you know you have a problem with the rack. This is certainly one of the more difficult mechanical tasks around the car. It should not be attempted by the novice and it may even pose problems for someone who is well-acquainted with an engine, due to the position of the rack. If you have any doubt as to your skill in this instance, we would recommend you take the car to a garage. You will need: car jacks, wheel nut spanner, socket set, spanners, wrench and bucket. First find the fluid reservoir. Using a fluid evacuator slowly and carefully remove all the fluid from this container and make sure that the power steering system is completely cleared of all liquid. Next you’ll need to remove the front wheels from the car. In the first instance loosen the wheel nuts when the car is still on the ground. Jack up the vehicle and finish off removing the wheel nuts and remove the wheels from the car. When you have taken off each wheel, make sure that the car is firmly fixed on jack stands. First unbolt the clamp that connects the steering column to the pinion shaft. Now locate the outer tie rod ends and remove these with the special tool. Loosen the nuts and turn the tie rods with a wrench, clockwise on one side and anticlockwise on the other. Unbolt the rack from its seating against the chassis and catch any hydraulic steering fluid as it drains. This should finally leave you free to detach the pinion from the rack. Before you install the new rack into the car it’s always best to remove any built up contamination and dirt within the pump and lines. Disconnect the return line to a fluid tank, allowing the debris and muck to flow out into a small container. Following this you should disconnect the pressure line from the rack and aim it into a bucket. When the whole system has been effectively drained of dirt, it’s time to twist and wiggle the old rack out of the vehicle. This is a very tough job that requires a considerable amount of physical effort, and you may even have to unbolt and move other components to get the rack out of its seating. Again using your wits and a bit of force, get the new rack into place. When this is in the right seating, use a tape measure to find the length of the old rack. This should allow you to put the tie and cotter pins into the right position on the rack. Remember to keep the rack centred or the steering will be off when you’ve finished the job. Finally reattach all hoses barring the reservoir return line and replace the wheels by loosely putting the nuts in place. Turn the car on and run the engine, pumping fluid through the system until it looks clean, before reattaching the reservoir hose. Stop the engine and take the car off the jacks and finish tightening the wheel nuts. As a final step turn the engine back on and turn the steering wheel from lock to lock around 10-15 times to get rid of any excess air trapped in the system.